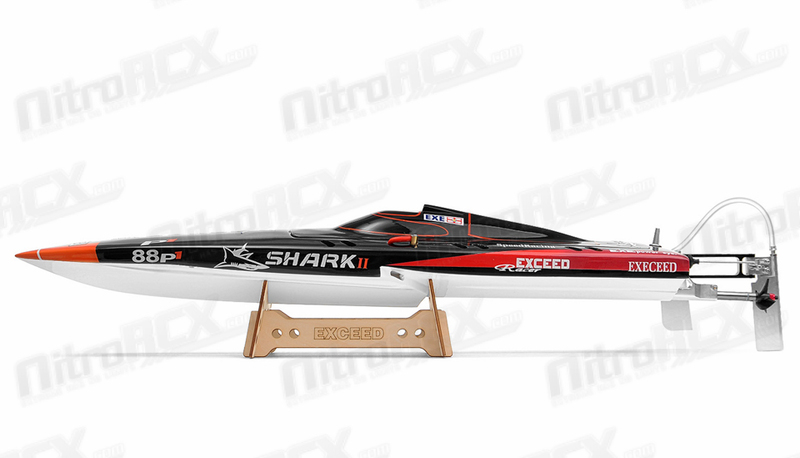 The all new competition Shark II racing boat is here. 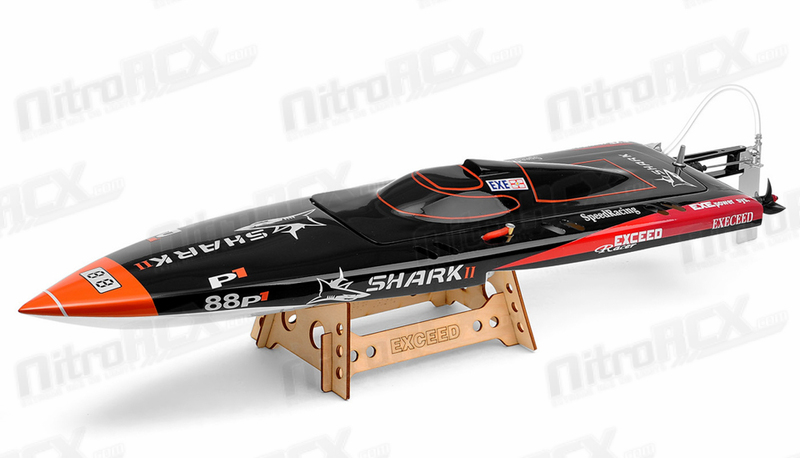 The fiberglass mono 1 step bottom hull is handmade with FRP fiberglass and comes with a super smooth gel coat finish. 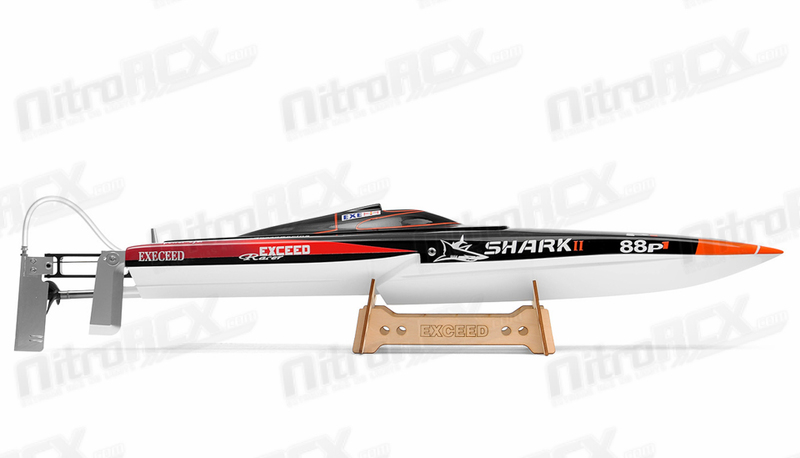 It comes out of the box with the hull polished to a mirror like shine with streamline design. 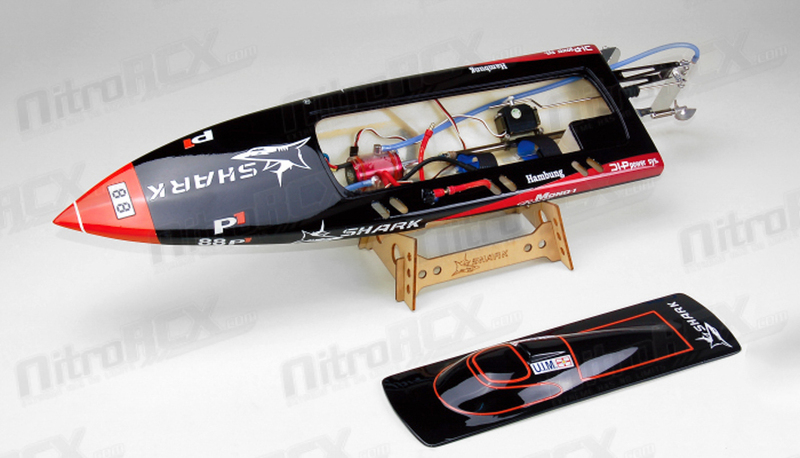 This boat features an innovate anti-turnover design in the hull. It allows water to enter one side of the hull in the event of a turnover allowing the boat to naturally flip over right side up. The slots and holes in the hull are made for this feature. 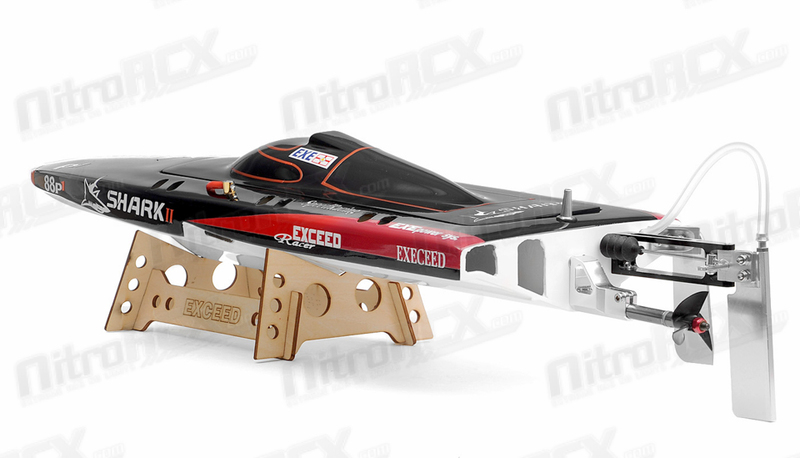 The hull is super light weighing about 430grams without other hardware. 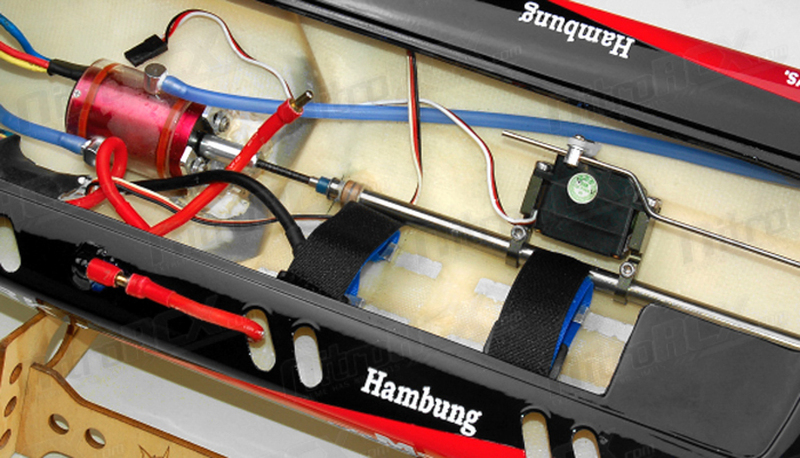 The almost ready to run version comes equipped with a B2848-3300KV water cooled brushless motor with a 75 amp brushless electronic speed controller. 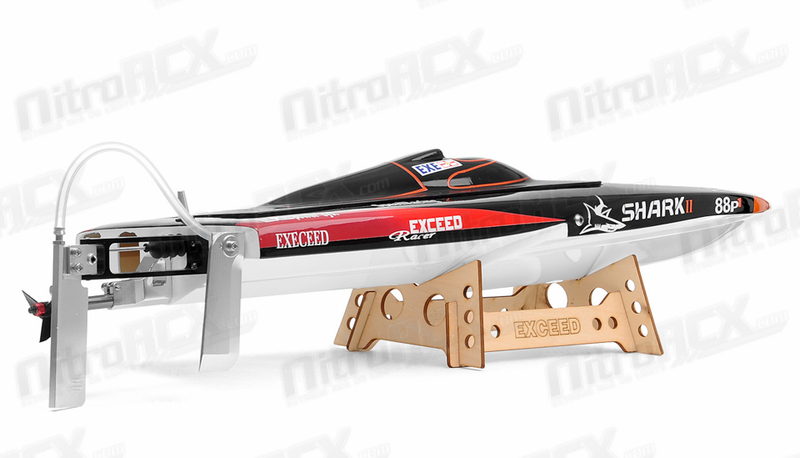 A flex drive shaft transfers all the power to a carbon-reinforced 3.6x1.4 three bladed propeller and provides excellent speed. 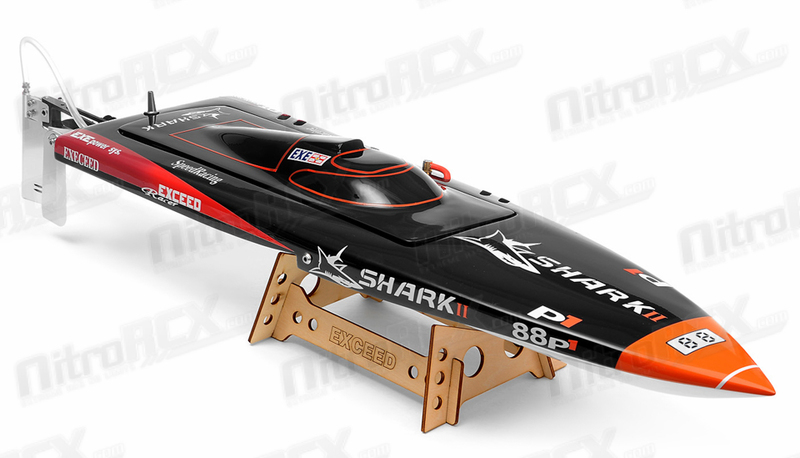 This boat is perfect for Mono competitions or tearing up ponds, rivers, lakes, and can pretty much any body of water.